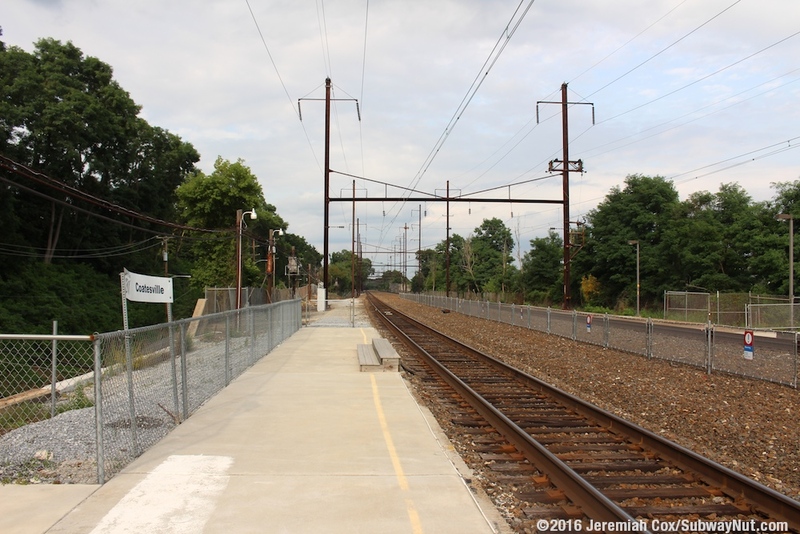 Coatesville is the first stop east of Philadelphia currently served by just Amtrak Keystone service trains and not also SEPTA Commuter Rail. 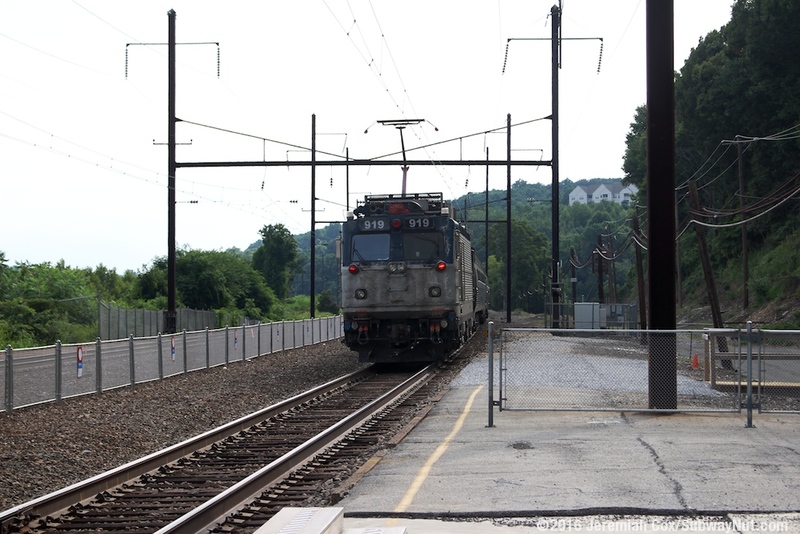 SEPTA Commuter Rail trains served the station from 1990 until November 10, 1996 when the lack of a yard in nearby Parkesburg that forced trains to deadhead all the way out to Lancaster forced the terminus back 3 miles east from Coatesville to Thorndale. 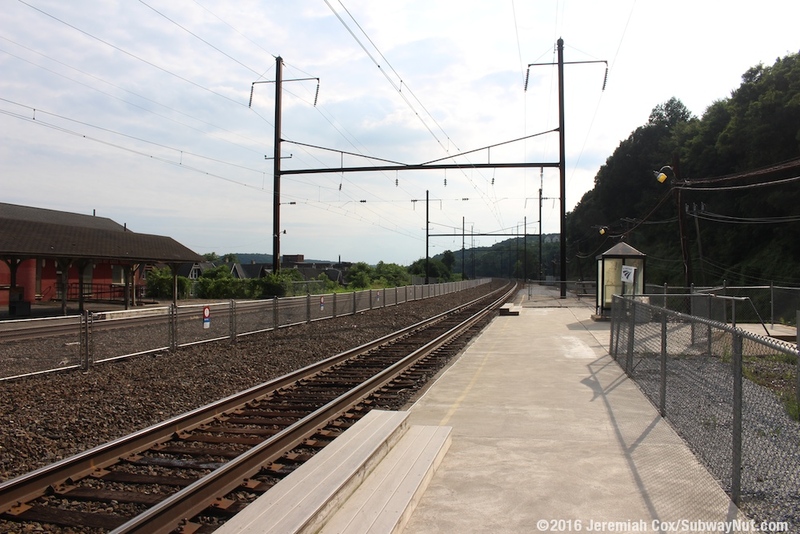 The station is a local stop on the Keystone service with a number of weekday express trains and the Pennsylvanian skipping the station. 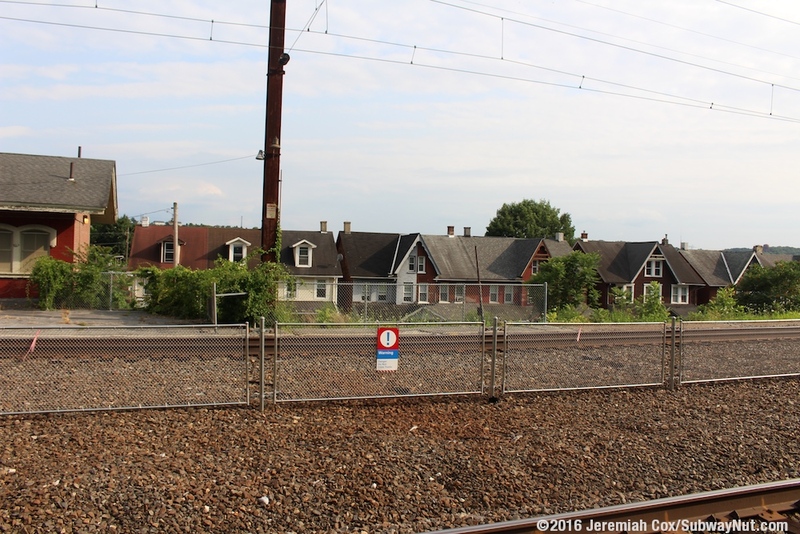 The current station is along the Pennsylvania Railroad Main Line is one of abandonment and new fences. 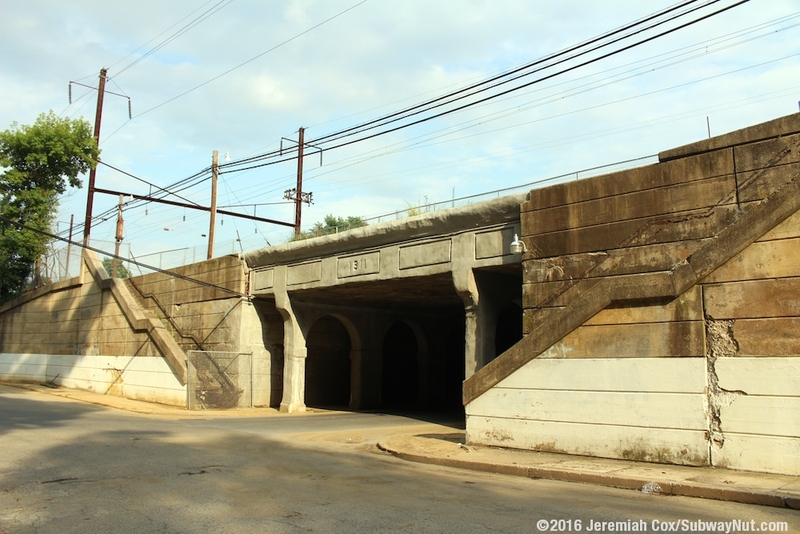 The original Italianate red brick depot was built in 1868 but has been abandoned for more than 20 years. 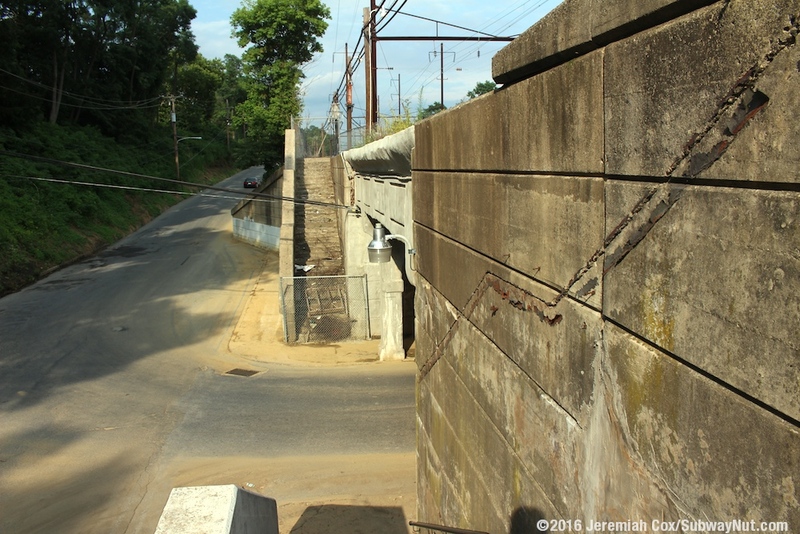 The Main Line originally had four tracks but only two are left. 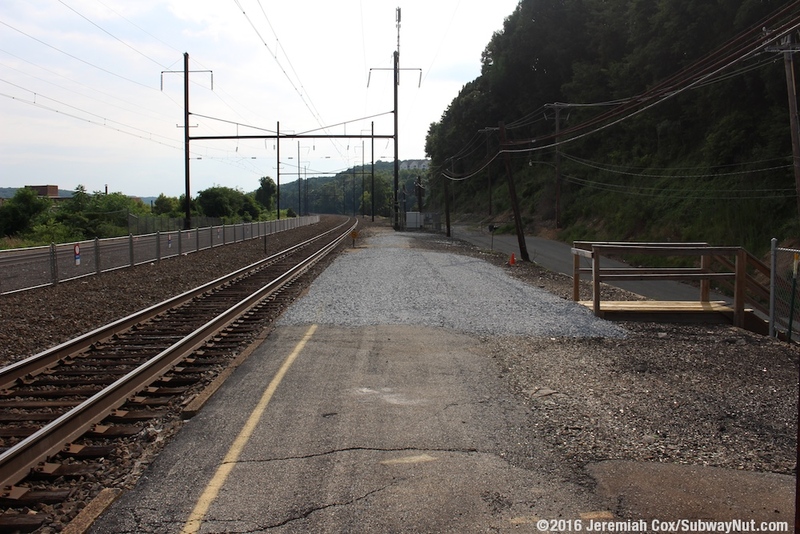 As part of Keystone Corridor redevelopment plans the stop may be destined for ADA compliant high-level platforms soon. 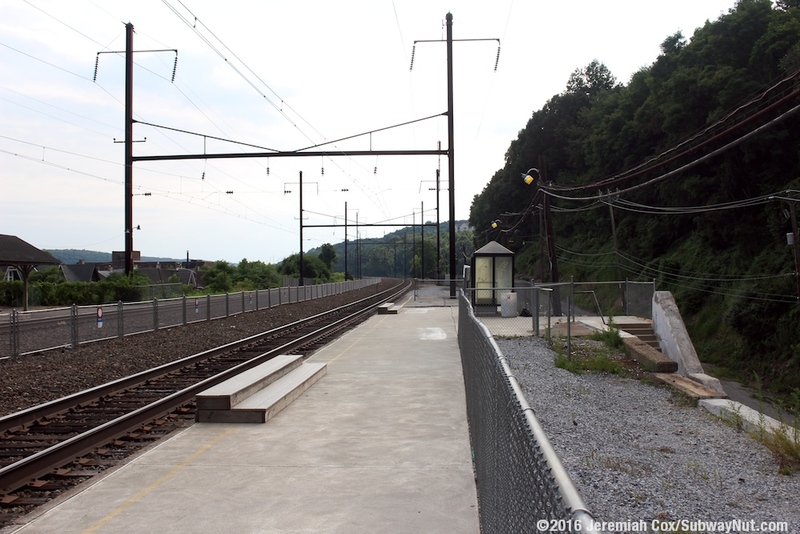 The current station has two below the tracks low-level side platforms. 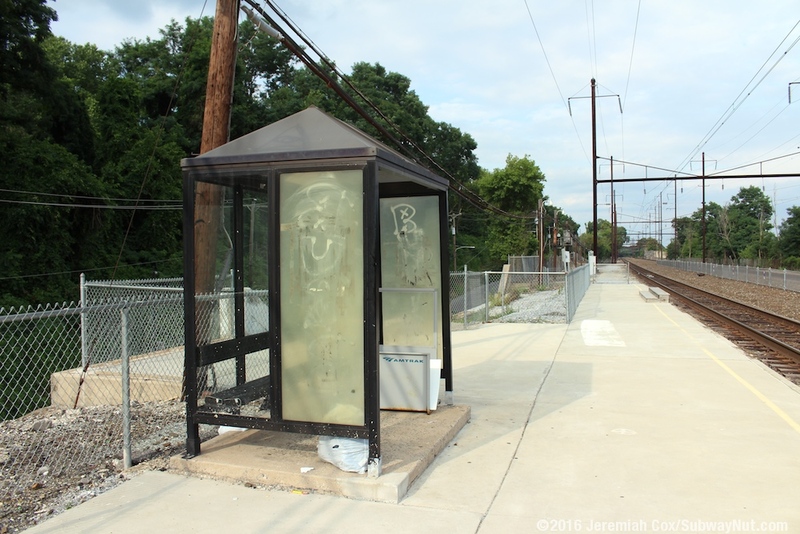 Two steps of small wooden steps allowing the conductors to open doors at two different vestibules on Keystone service trains, not requiring them to use stepstools. 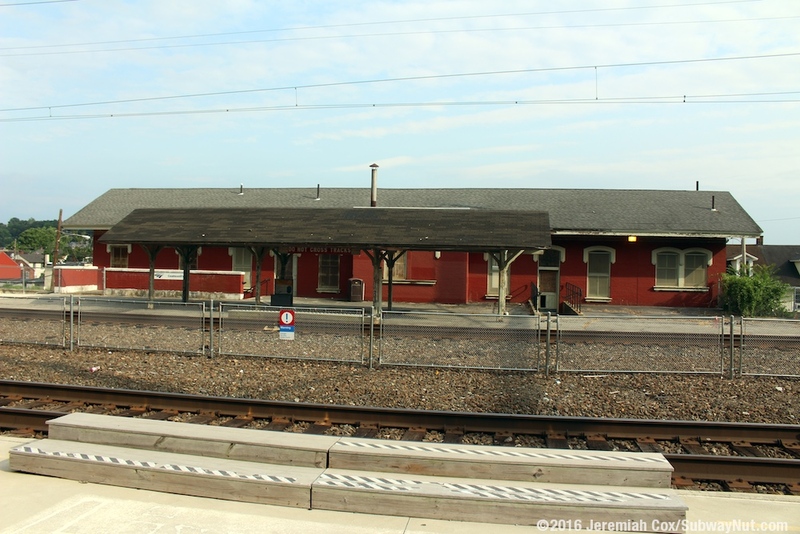 The open portions of the low-level platforms are well fenced with abandoned portions of much longer platforms visible at each end of the open portions. 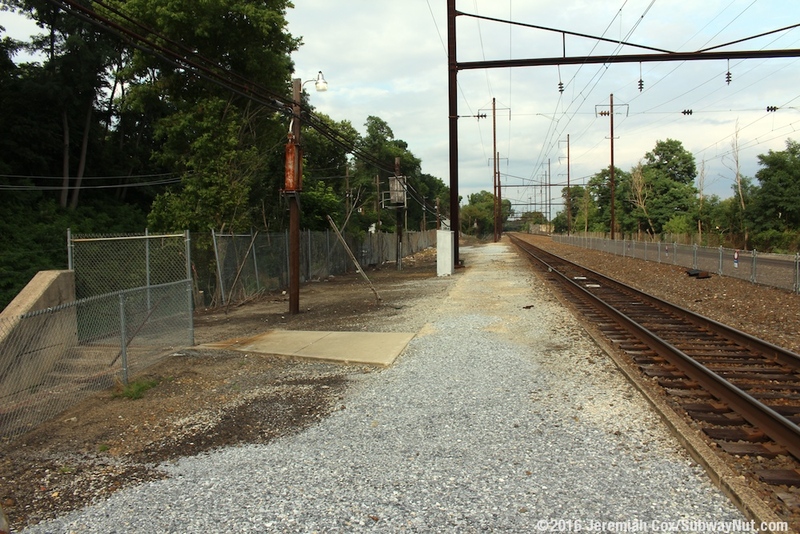 Temporary looking white with blue text signs for Coatesville line the fencing on the platform. 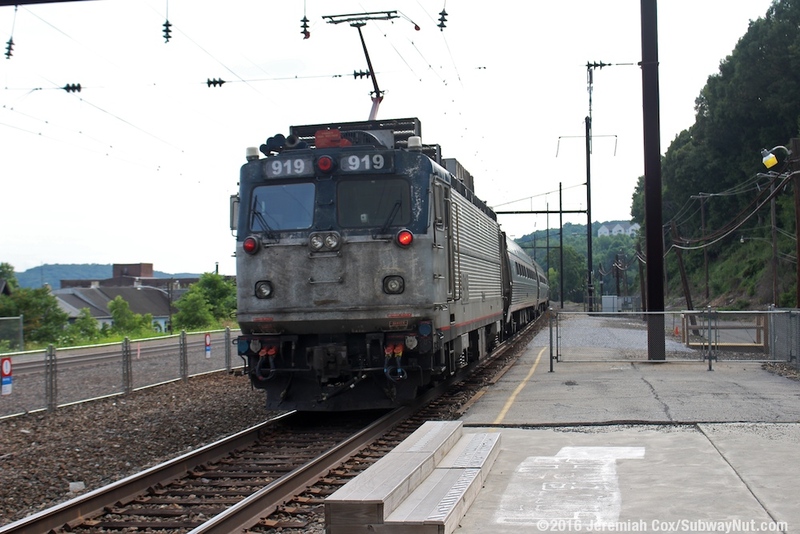 No schedules for the unreserved Keystone service trains were found anywhere posted near the station. 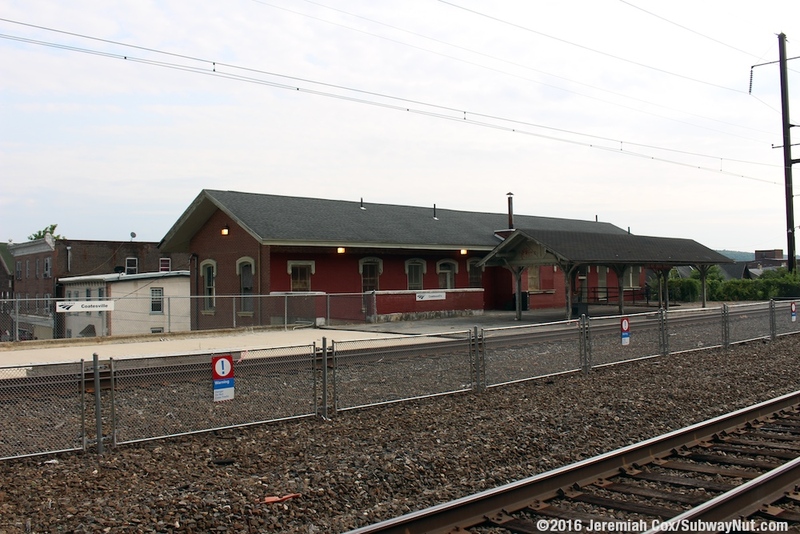 The Philadelphia-bound eastbound platform contains the historic boarded up station house. 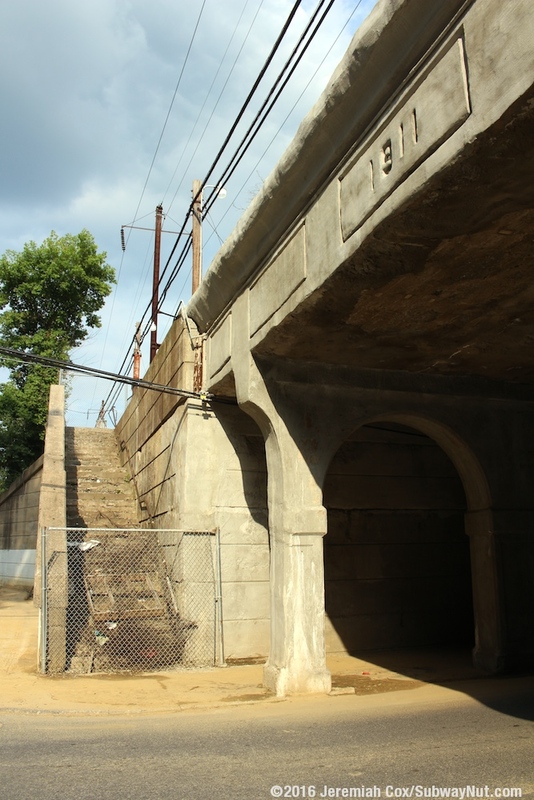 All access is from a staircase up from underpass of 3rd Avenue (built in 1911), the goes under an arch of the historic depot. 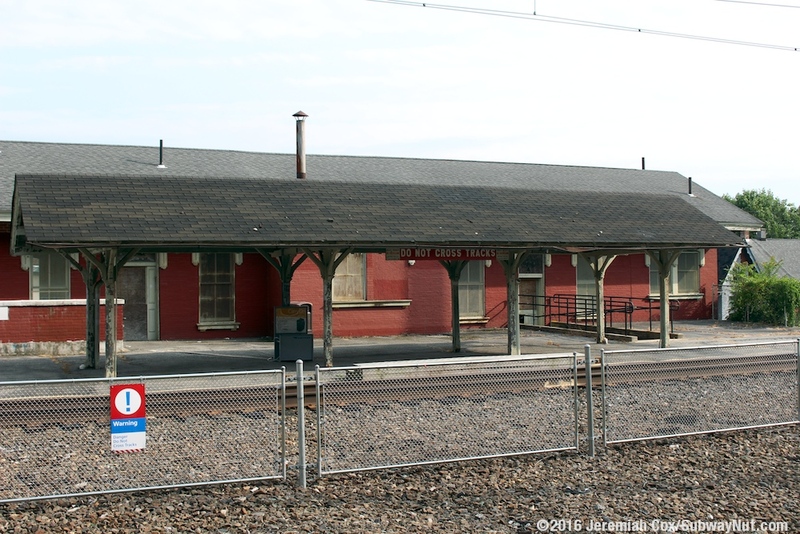 The historic depot has two floors with an abandoned entrance from Fleetwood Street and had track access through two doors on the second floor. 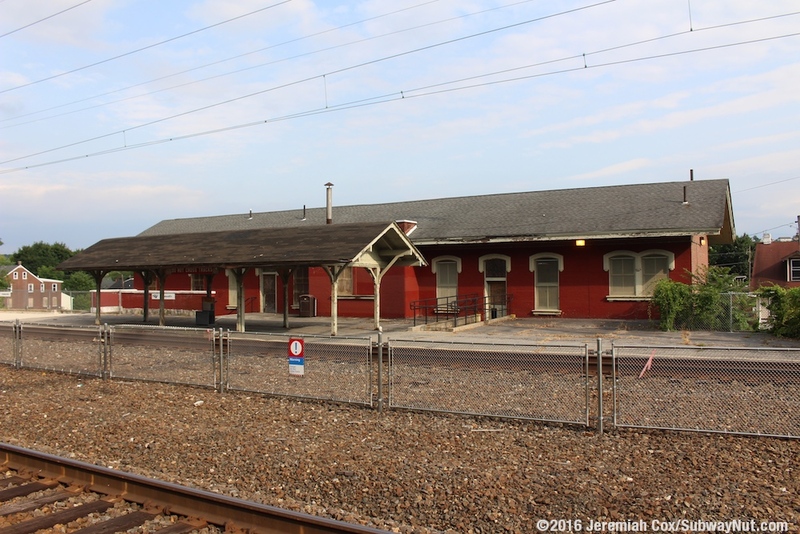 The depot is set back slightly from the platforms and passengers today wait under a historic wooden shingled and gabled roof canopy structure. 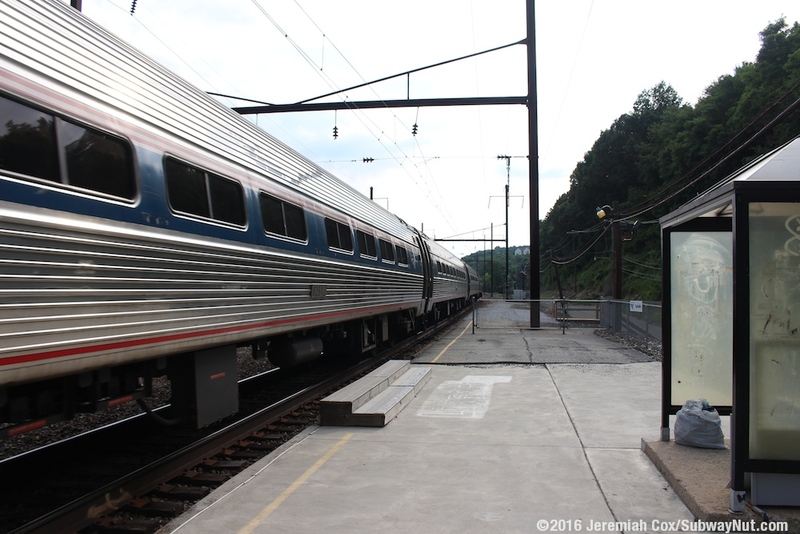 The Harrisburg-bound platform is much more primitive. 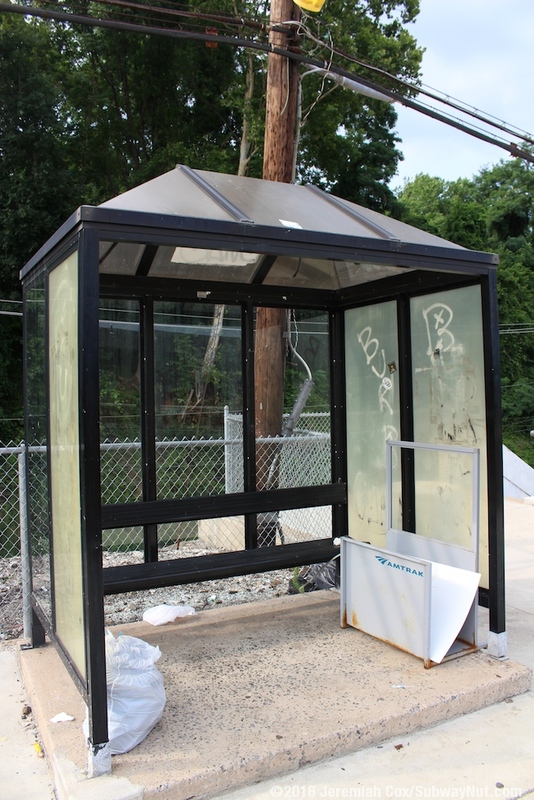 Passengers have a single black (with scratches in some panels) bus shelter. 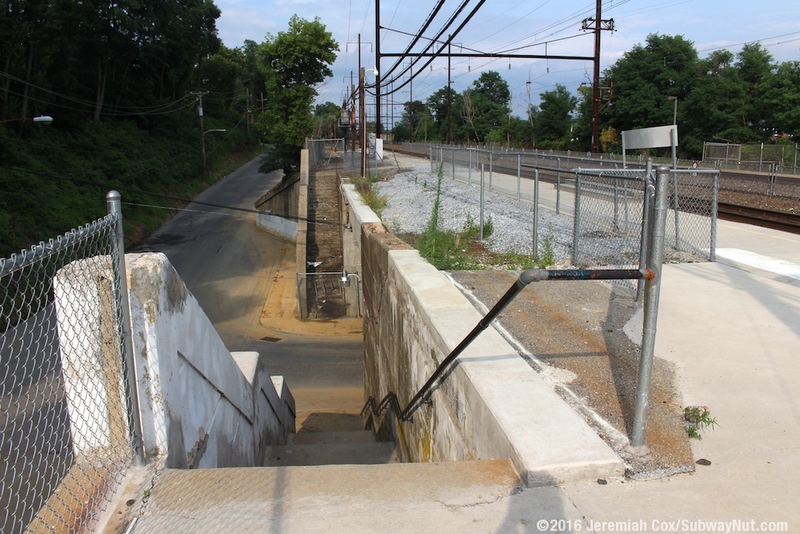 A single staircase provides access to the platform up from the east side 3rd Avenue, just before Coates Street. 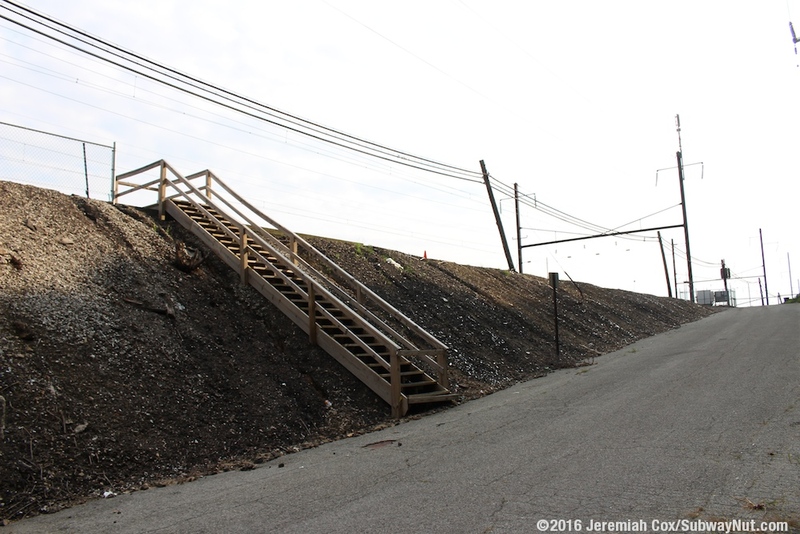 An abandoned staircase once provided access from the west side of this street. There is also a wooden staircase to the abandoned eastern end of the platform.